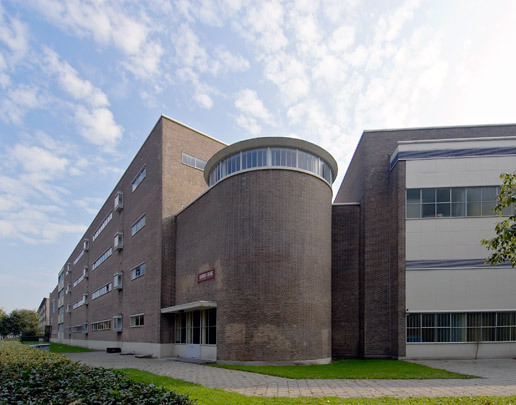 The principal components of this school (theory, practice, assembly hall) are housed in separate volumes tied together by a central well with a half-turn stair. A cylindrical stairtower standing freely between the gymnasium and the main building enabled the latter to be rotated to face the suroundings. Facades are designed to a square grid and differ as to whether 'open' or 'closed' and in the position of their columns.